It was fifty years ago today- Wednesday January 29, 1969- former CIA Director Allen Dulles died at the age of 75 from influenza complicated by pneumonia. The Dulles brothers- Allen- and his older brother John Foster who was Secretary of State under President Eisenhower- held a lot of power and influence during the 50’s. 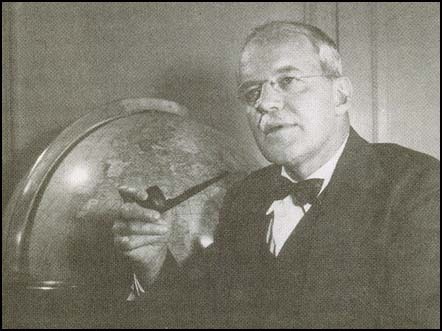 Allen Dulles is still the longest serving CIA Director- from 1953 to 1961. He was forced to resign along with some other CIA top officials by President Kennedy after the Bay of Pigs Fiasco. On November 28, 1961 JFK awarded Dulles the National Security Medal at CIA headquarters- the next day he was forced to resign. A couple years later- on November 29, 1963 President Lyndon Johnson named Dulles to be on the Warren Commission. Odd selection- Dulles who was fired by JFK- named to investigate his death? Dulles has another assassination connection- he is buried at Green Mount Cemetery in Baltimore, Maryland- who else is buried there? Johnny Booth. Who knows what secrets Dulles took to his grave? Have read a couple books on the history of the CIA that didn’t paint him in very positive light. Yes I agree- I don’t think in the long run the Dulles brothers did the country well. VERY interesting. Have you ever seen that Warren Commission Report? It would literally take someone years of dedicated reading to get through it. I think they did that on purpose, to keep the truth from coming out. I studied the JFK assassination for a full college class. Part of the end of the class was for each of us to write a report on who we thought did it and why/how. I was talking to someone yesterday about the JFK assassination. years ago I thought- conspiracy- but after going to Dallas 4 times and reading a lot about it- I now think LHO acted alone. I don’t think we will ever know 100% on it though. Too long ago now- and the whole thing has been clouded by too much garbage- as far as books by people who have made stuff up etc… I would have loved to have had a full college class on the subject! I bet that was terrific. Yes, it was. My professor himself had written a book on it, from a police investigator’s perspective. You’re right, unless someone who pulled the trigger steps forward and passes a poly, we will probably never know. Aren’t there some sealed documents somewhere though that can be released at a future date? I can’t remember now, it’s been awhile. A year or so ago some stuff was released but I don’t think it had much impact on things. I think there are more to follow in the future too. The CIA and FBI directors both carried many secrets to their graves.